Here is the relevant divorce information you need if you reside in West Virginia and want to make informed decisions for you and your children. You can read through an overview of the various laws relating to divorce, support, and custody issues. If you need, you can contact skilled divorce professionals to assist you in your divorce, or access divorce papers or online options if you prefer to handle everything yourself. There are local support services to help ease the transition for both you and your children. You'll also find child support tools and domestic abuse help. For parents with minor children, there is also information on the divorce parenting classes in WV. Residency requirements and where to file: If the marriage occurred in West Virginia and one of the spouses' lives in the state, an action for divorce may commence without regard to length of residency. If the marriage occurred elsewhere, an action for divorce may begin if at least one of the spouses has been a bona fide resident of West Virginia for at least a full year before the action is filed. If the respondent is a resident of the state, the petition can be filed either in the county where the respondent lives or the county where the couple last cohabitated. If the respondent isn't a resident of West Virginia, the petition can be filed in the county where the petitioner resides or the county where the couple last cohabitated. Grounds for divorce: An action for divorce may be granted based on the no-fault grounds of irreconcilable differences or voluntary separation in which the couple has lived separately for at least a year. Abuse of a child which results in physical or mental injury, or neglect due to a parents' wilful failure to provide for the needs of a child. 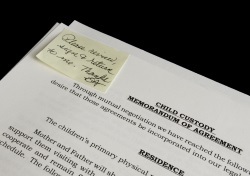 The court requires clear and convincing evidence before it will grant a divorce for this reason because it will permanently deprive the accused parent of any sharing of custodial responsibility for the neglected or abused child. Legal separation: A married couple in West Virginia may enter a legal separation agreement which addresses the division of their marital property, spousal support, and child support. To address custody and parenting issues, a parent needs file and serve a proposed temporary parenting plan by motion. Whether a spouse has depreciated or dissipated martial property during the marriage. Spousal support: In West Virginia, the court can consider whether a spouse's misconduct contributed to the deterioration of the marriage when determining if and how much spousal support to award. It should be noted that support won't be awarded unless the parties are actually living apart from each other, and the spousal support ordered won't be disproportionate to the obligated party's ability to pay. There are four classes of spousal support which may be awarded: 1) Temporary spousal support during the pendency of an action for divorce; 2) Rehabilitative spousal support for a limited time to allow the dependent spouse the opportunity to receive training or education in order to become gainfully employed; 3) Spousal support in gross is payable in either payments over a specific period of time or in a lump sum: and 4) Permanent spousal support. 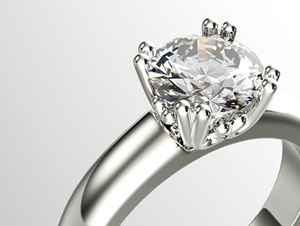 Permanent spousal support may be modified or terminated if the court finds a de facto marriage (a stable marriage-like relationship) exists between the dependent spouse and another person. An award of rehabilitative support or spousal support in gross may not be reduced or terminated due to such a de facto marriage. Name change: Either party can request to resume a name used prior to his or her first marriage as part of the divorce. A person may also request to resume the name of a former spouse if he or she has living children with the former spouse. Parent education classes: The court requires parents to attend a parent education class in all actions for divorce, support, paternity, or other proceedings involving minor children in West Virginia. The focus of the class is to educate parties on reducing parental conflict, highlight the negative effects of family dissolution and custody disputes on their children and how to minimize the trauma, and how to prepare a parenting plan. Child custody: The court prefers for parents to reach their own agreement on a parenting plan and will approve such a plan unless the agreement would be harmful to the child or it was not reached voluntarily. If the parents are unable to reach an agreement, the court can require them to attend mediation to try and resolve their differences unless doing so would be inappropriate in the particular case. If the custody arrangements are not resolved mutually, the court assigns the custodial responsibility such that it is similar to the proportion of time each parent spent performing parenting functions for the child prior to the parents' separation to achieve continuity in the child's life. Custodial responsibility refers to the physical custodianship and supervision of a child. Basic shared parenting is where a parent keeps the child overnight for less than 35% of the year. Extended shared parenting is an arrangement where each parent keeps the child overnight for more than 35% of the year. Normally, parents will share the decision-making responsibilities after a divorce concerning such issues as the child's education, religious guidance, and medical care. In cases where parents can't agree on these issues, the court will decide which parent will make these types of decisions. Child support: The calculation of child support in West Virginia is based on the premise that children have a right to the standard of living they would have enjoyed if both parents were living in the same household. As such, the child support guidelines calculation uses both parent’s adjusted gross incomes and the number of children who are the subject of the pending action. The amount of support is determined by dividing the total support obligation between the parents in proportion to their incomes. The support obligation order may be modified if there is a substantial change in circumstances. If application of the guidelines would result in a new order that is more than fifteen percent different, then the circumstances are considered a substantial change. Child support may continue past the age of eighteen if the child unmarried, residing with a parent, and is a full-time student making progress towards a diploma, but may not extend past the age of 20. If you are getting a divorce and you have minor children with your husband, each of you will need to complete a parent education course before the final hearing for your divorce. It's best to consult with the county clerk for more information about locations and times for these classes in your area. Below you can find out about the classes we were able to locate. Do You Need a Divorce Lawyer? If you are considering a divorce, you will likely need to consult with a divorce attorney. Explain your legal situation on Divorce LawFirms and have local attorneys review your case information. Get a divorce without hiring an attorney. You can file your own divorce papers if both of you can agree on how to divide your assets and debts and determine how custody and visitation will be handled. If that applies to your situation, 3stepDivorce is the simplest way of doing your own divorce papers. 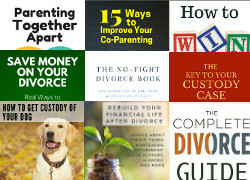 Not only will your documents be accurately completed, you'll also have access to a number of divorce manuals and products discussing the various issues that need to be considered. Best of all, everything is done in the privacy of your own home. If this sounds like a good solution for you, you can begin your WV divorce now. QdroDesk - Using smart question/answer technology, this service allows you to generate the required Qualified Domestic Relations documents which you need for the proper division of retirement assets during a family law case.